Percutaneous transhepatic gallbladder drainage (PTGBD) is an alternative treatment for acute cholecystitis (AC). We aimed to understand the natural course of AC in patients treated with PTGBD but without later definitive treatments, such as laparoscopic cholecystectomy. This was a retrospective study of the period from June 2010 to December 2016, during which time 2371 patients were diagnosed with AC and 625 received PTGBD treatment. Among the 625 patients, 237 received no definitive treatment. A biliary event after the initial AC episode was the outcome of interest. In addition, the competing risk of death unrelated to biliary causes was present in the cohort. Therefore, a competing risk model was applied for analysis. The cumulative incidence of biliary events was 29.8% with a median of 4.27 months, while the competing event, i.e., death unrelated to a biliary event, was noted in 14.9% of patients with a median 23.54 months. The risk factors of biliary events were prolonged PTGBD indwelling and an abnormal PTGBD cholangiogram. The risk factors of death unrelated to a biliary event included a high Charlson comorbidity index and the initial AC severity. 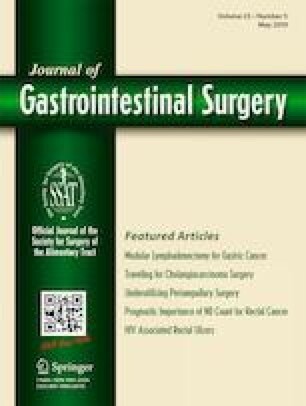 Definitive cholecystectomy is still recommended for patients undergoing PTGBD treatment due to the high incidence of later biliary events. A thorough preoperative evaluation is necessary for those patients before elective cholecystectomy because of the inferior life expectancy and physical status. Yu-Liang Hung and Sio-Wai Chong contributed equally to this work. The online version of this article ( https://doi.org/10.1007/s11605-019-04213-0) contains supplementary material, which is available to authorized users. We would like to thank the CGMH Acute Abdomen Database organization and database managers, Shu-Ping Liao, Ching-Hua Hsu, Chun-Ju Chen, Fen-Ping Kao, and Hui-Chen Tien. Data acquisition: YL Hung and SW Chong. Manuscript drafting: YL Hung and SY Wang. Figure and table preparation: CH Liao, CT Cheng, and CY FU. Statistical analysis: SY Wang. Manuscript structuring: CN Yeh, TS Yeh, and YY Jan. Final approval: SY Wang and CH Hsieh. The Institutional Review Board of CGMH approved the study.